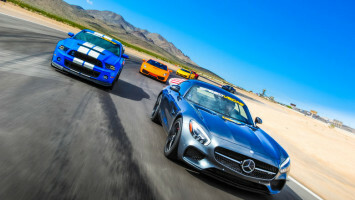 Why The Las Vegas Supercar Experience? You’ve seen the movies, you’ve pirated the videos, now live like Vin Diesel and his carjacking crew as you get behind the wheel of an exotic supercar at the newest and most thrilling experience in Las Vegas. And the best thing is, it’s all completely legal! 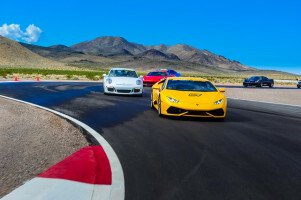 Located on Las Vegas Boulevard, at Speedvegas’ one and half-mile, challenging racetrack, you can experience lap after lap in the Supercar of your choice - be that a Corvette Z06, Lamborghini Gallardo, Audi R8 or Ferrari 458 Italia! You can pay per lap or purchase a 5 lap package. Why Does This Experience Win The Gold Medal? Las Vegas Exotic Car Experience is ideal for kicking off that Bachelor Party, corporate events, a surprise gift, holiday extra or well-deserved reward to yourself, the Las Vegas Exotic Car Experience will bring that grin to your face and make you squeal like a schoolgirl that only the need for speed can deliver. We recommend taking an extra pair of pants! You know what to do... click the link for deets. Live life like you're in The Fast and The Furious! A great gift for everyone... except maybe Grandma!